Laid down, 28 February 1945, at Gibbs Gas Engine Co., Jacksonville, FL. 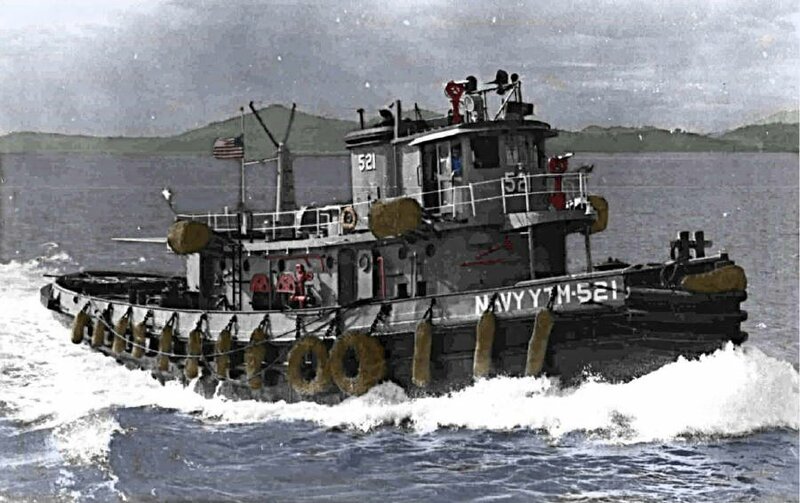 Delivered and placed in service, as Nabigwon (YTB-521), 22 October 1945 , allocated to the 12th Naval District at San Francisco, CA. Reassigned to assigned advanced base duty in the Pacific. 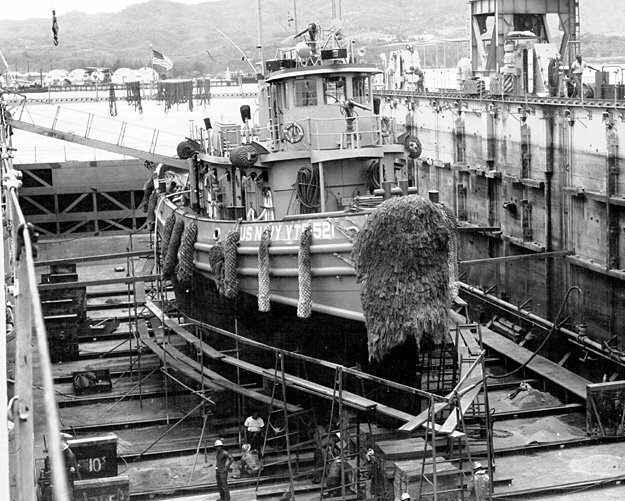 110k Nabigwon (YTB-521) dry docked, date and location unknown. 108k Nabigwon (YTM-521) underway, date and location unknown. 287k Nabigwon (YTM-521) assists USS Ashtabula (AO-51) at Nabason Ammo Pier, Subic Bay, PI. April 1972. ©Glenn R. Sirkis MMFN, STREAM Team. A-Div. 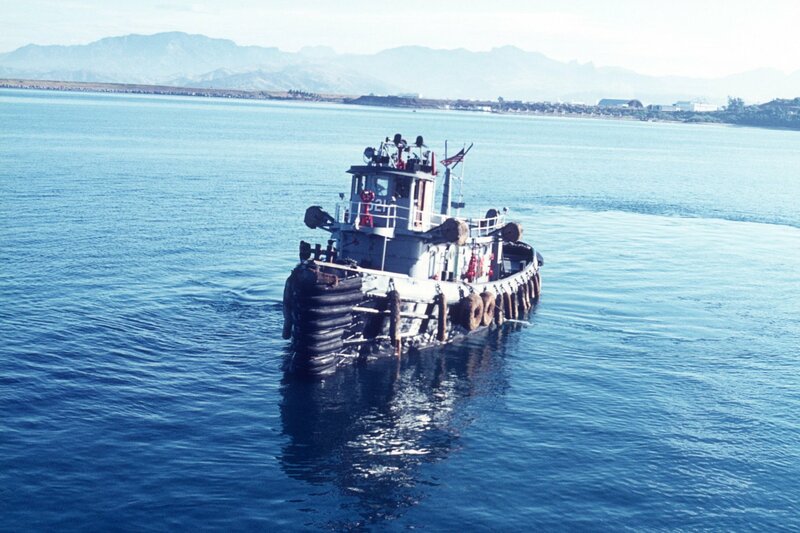 USS Ashtabula, West Pac 1971-1972.